Taken from the Lagoon hide at Zimanga in KwaZulu Natal, South Africa in 2016. 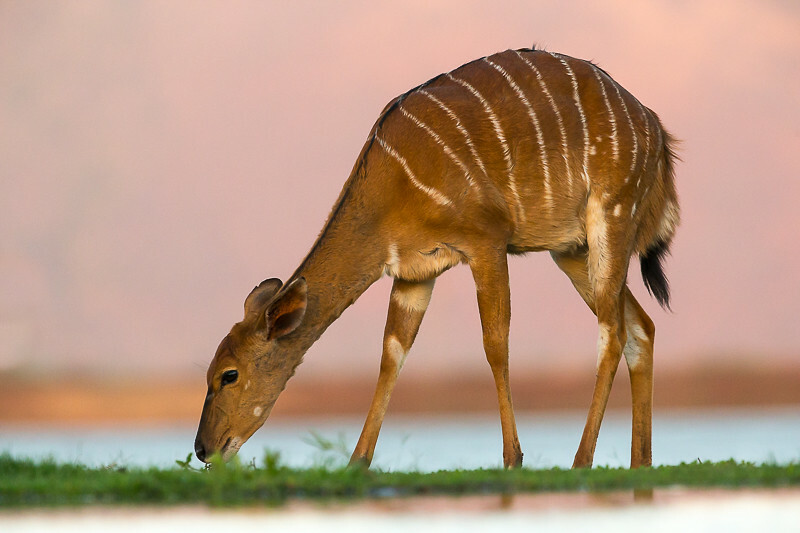 The sun had just set when this female nyala came to feed and drink. The hides at Zimanga are fitted with one-way glass to allow you to get shots like this. EOS 1DX with 300mm f/2.8L IS lens and 1.4 III converter. Fantastic light. Slight shame about the grass in front of it's mouth .